We offer a travel advice and immunisation service. If you are travelling abroad please complete and submit the travel form atleast 8 weeks before your journey. Please note we do not offer Yellow Fever vaccinations. If you need support or information e.g. you may be a carer or have been diagnosed with a long term condition, you can contact the scheme directly. 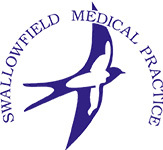 The community navigators also hold periodic clinics at the Swallowfield surgery – for more information or to book an appointment please contact reception. Swallowfield Baby and Toddler group has a contained baby area, arts and crafts every week, singing time, juice and biscuits for the little ones and tea/coffee and biscuits for the grown ups. find coping a challenge sometimes? We have a new service available to patients living with the following conditions: Diabetes Type 2, cardiac conditions or breathlessness. Our clinically trained NHS Health Coaches can talk to you about your health, provide support and help improve your quality of life. To make an appointment please contact reception or call 0300 365 2000 and quote ‘Health Coach’. Nicotine replacement therapy is available from this service. The surgery will not ordinarily provide these to you on prescription.